The most advanced mobile device camera app available on the market today! Take great raw DNG and JPG photos with complete camera control just like your favorite DSLR! • Raw DNG Photos: True uncompressed Raw DNG photos. • JPG Photos: High resolution JPG photos. • Digital Zoom: Up to 100x digital zoom. 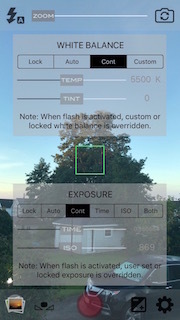 • Burst Mode: Up to continuous 10 frames per second photo capture. • Full EXIF Data: Complete EXIF data per image viewable in app. • Image Stabilizer Control: Turn on/off digital image stabilizer. • Time Delay: Settings for time delay photos. • Time Lapse: Take time-lapse photos with ease. • Stop Motion: Make great stop motion animations with full camera control. • Playback Viewer: You can playback and view your time-lapse and stop motion projects at selected frame rates from within the app. 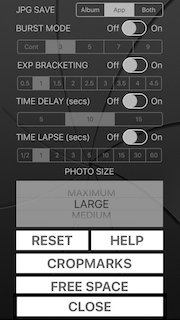 • Fast Focus: Turn on and off fast auto focus. 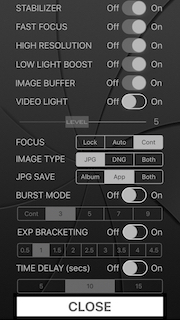 • Focus Mode: Lock, momentary auto, and continous auto focus modes. • Image Type: Choose JPG, Raw DNG, or Both formats of image capture. 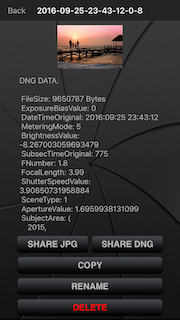 • Photo Sharing: Immediately share you JPG, Raw DNG, and EXIF data from within app. • iTunes File Sharing: Get all of your photos and EXIF data onto your computer with file sharing. • Save Location: Choose to save JPGs in the app, to your device's Photo Album, or both. 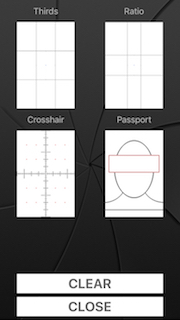 • User Guide: Includes in-app user guide for quick and easy mastering of camera app. Note: Requires iOS 10 or higher.